Today, I'm wrapping up the digital to traditional to hybrid challenge we started a couple of weeks ago. 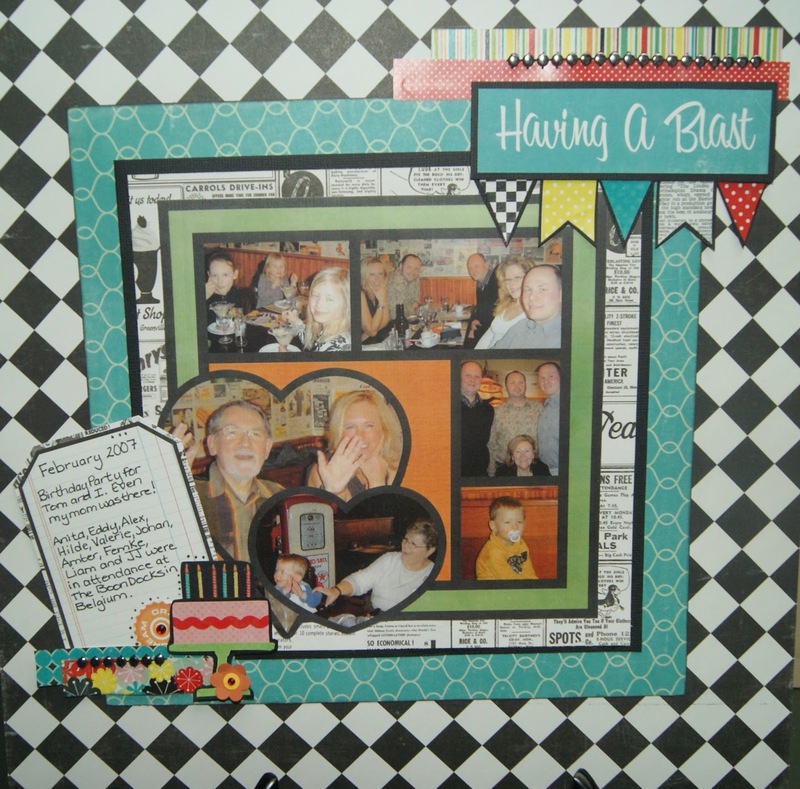 I strongly feel it essential to mingle all three forms of scrapbooking to give you the edge to the best projects. I'll show ya what we've got so far for this particular challenge. We've got others and have some in the future planned, too. 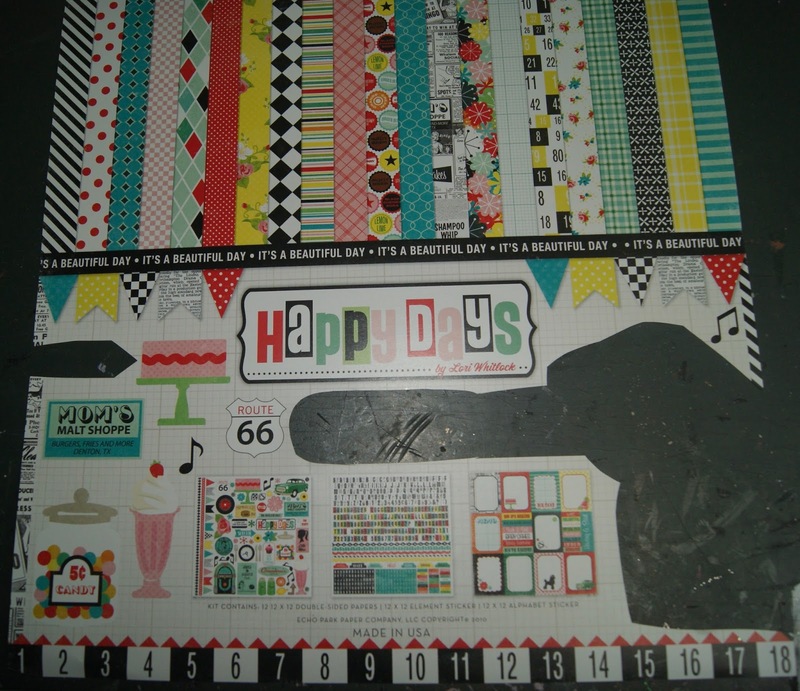 Check out how we took this digital page and bought it to a hybrid one using the Happy Days collection from Lori Whitlock and Echo Park. Here is the first part of the tutorial. Here is the second part if you want to do this totally traditionally. Here ya get a look at the collection I'm using. Are you like me and always use the packaging? I found the packaging for today's project better than the goodies inside. They were not only smaller and fit better on my page, but the colours were different and worked better as well. As you can see, I took the basic components of Lissy's template and filled them in digitally and printed it out. I knew what colours were in the collection because I used it to make an awesome mini. It's mega great and easy. I chose the craziest pics I could find and we do crazy really well, here. Check out the step by step for it, here. More really fun photos in today's project, too. I used plain coordinating colours in the hybrid part of the page. What a great collection from Echo Park. 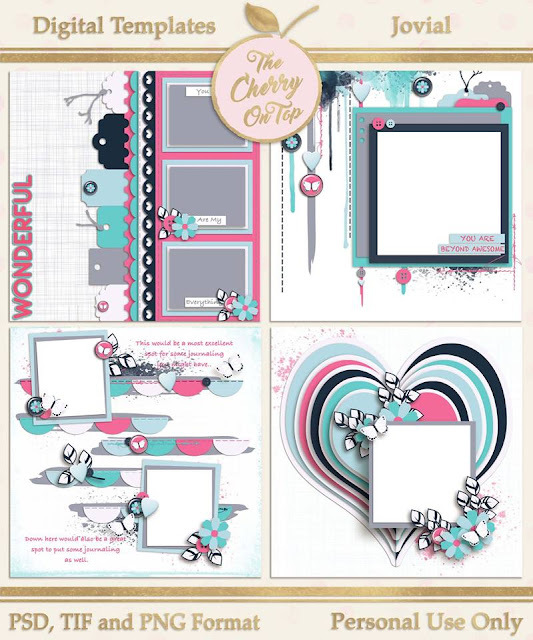 If you hit up Scrapbook.com you'll find that Echo Park has over 50 pages of scrapbooking fabulousness even dies! There were a lot of sale items, too. I took out the papers from the Happy Days collection and played around until I found a combination I liked. I'll be adding the green and orange later. I liked the basic black and white papers with the blue. Layering adds depth, interest and often contrast to your pages. Use your paper cutter for the desired size you want, adhere your layers together and place them on your page. So easy, right? All we have to do now, is cluster up our corners with lovely embellishments and almost all of the ones I'm using are from the packaging. See how simple it can be. I took a journal pice or word art from the collection pack and matted it for contrast, depth and interest. 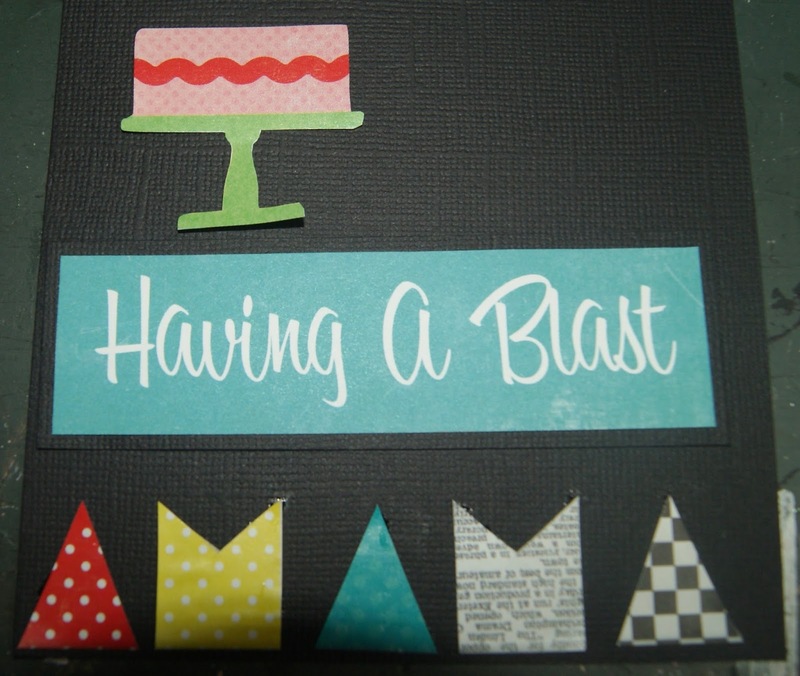 I did use foam tape for extra dimension on the word art. The banners I cut out from the packaging and matted them to match as well. I used their paper preview from the packaging as borders for my page. I needed to get those greens and oranges from my hybrid piece into my page. For a bit of blingy, pow and wow, I cut out a section from this stuff I got in a Webster's Warehouse Box. I used my fussy scissors and could cut just what I needed. I used liquid glue to adhere. I love Elmer's liquid glue pens with dual tips. Check out CreateForLess for options. They got Cherry prices over there. See all of the cool goodies on the packaging? The paper strips, cake and flag? Making your own embellishments is a great way to save money, use up your scraps and get a custom item. 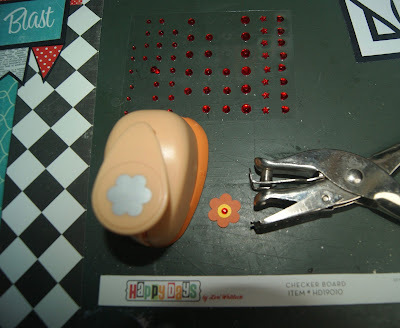 I used a simple flower punch, my large hole puncher and a red rhinestone for an interesting element. I'm a bit sad because that handsome gentlemen there recently passed. 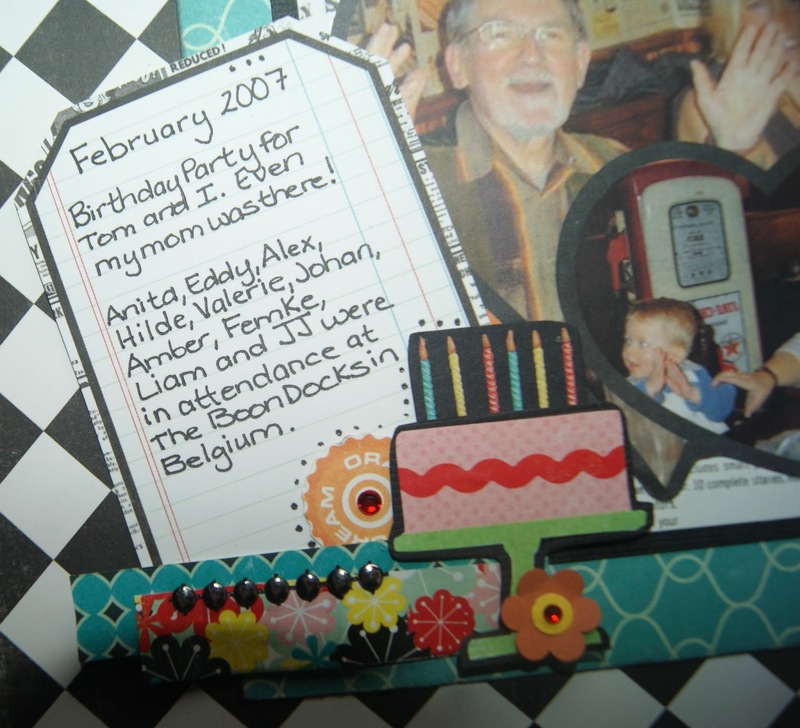 :( I do LOVE that about scrapbooking though. It's a nifty way to feel close to people who are far or waiting for us on the other side. So, we've layered up our hybrid paper, clustered up the top right and bottom left corner of our page and that's a wrap! It took me just under 2 hours to do this page and I really, sat back, took my time and enjoyed every step of the process. I hope you did, too. If ya dig hybrids, I've got two free Project Life cards. One is offered in the newsletter and the other on yesterday's blog. 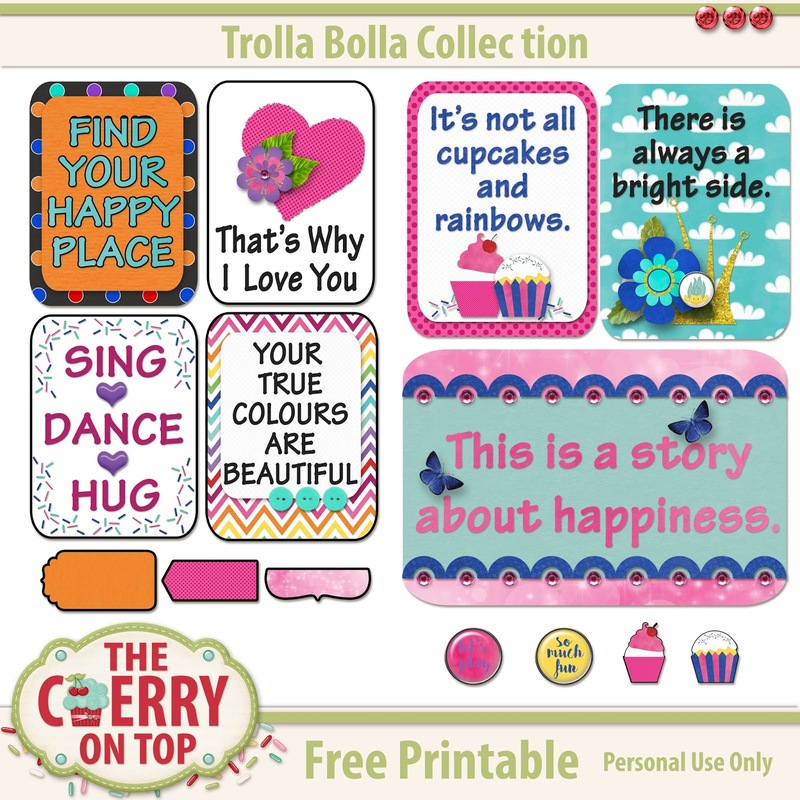 They are in png format so you may use them digitally or print them out and use them traditionally. I'll be doing both of course. Wait until ya see what I've got on tap! 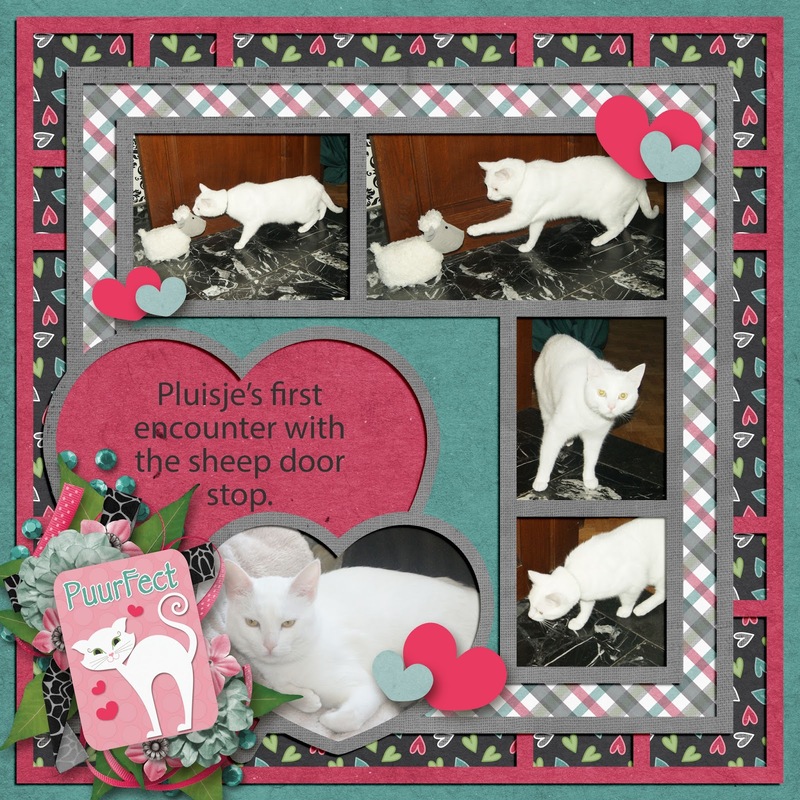 Two of these cards are offered for free on the blog and in the newsletter. I'll have these printables in the shop very soon. 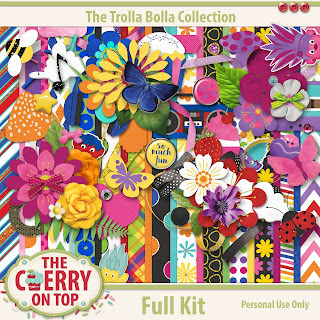 They coordinate with our Trolla Bolla Collection. Fun, eh?! I hope you enjoyed our hybrid project and that you try it out for yourself sometime.